Our T-378 Vintage Velvet Ruffle Coat is the ideal outwear accessory to pair with any romantic style dress. 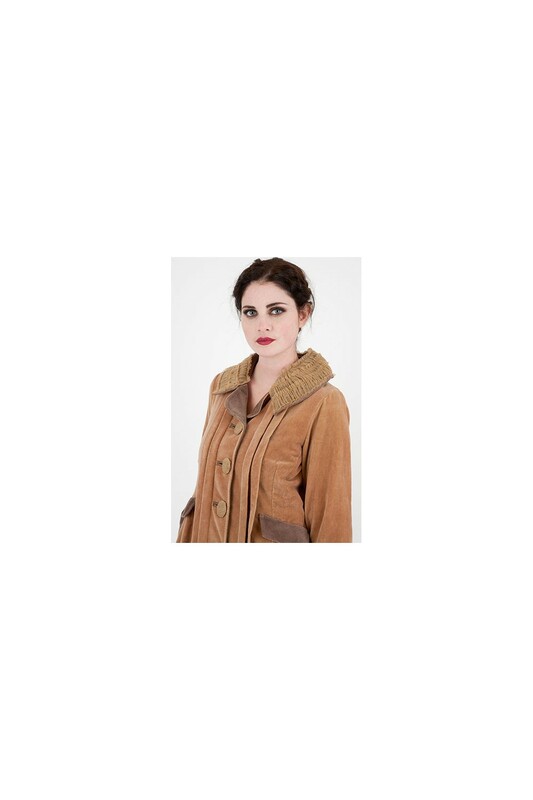 Perfect for the bride, bridesmaids, or mother of the uniting couple, this lovely coat is made of velvet and tulle. It absolutely radiates the Downton Abbey’esque look. Comprised of velvet and Tulle. Our T-378 Vintage Velvet Ruffle Coat is the ideal outwear accessory to pair with any romantic style dress in Nataya’s line. Perfect for the bride, bridesmaids, or mother of the uniting couple, this lovely coat is made of velvet and tulle. It absolutely radiates the Downton Abbey’esque look. Its unique shades match with lighter clothes in Nataya’s line.